Eurofuncenter has a large collection of windsurfing sails at home for every windsurfer. Whether you are a GPS speed freak or want to run spocks. With us you are at the right address. We are happy to advise you what the best sail is for you. Windsurf sailing at Eurofuncenter. Our windsurfing department has an extensive collection of windsurfing sails. With top brands such as Naish, Neilpryde, North Windsurfsails and Gaastra Sails you will always find the right windsurf sail you are looking for. All windsurf sails are available from our stock in all sail sizes. Are you a fanatic windsurfer or do you just start windsurfing? Eurofun.nl has a suitable windsurf sail for all windsurfer from all-round surf sails, to speed / racing windsurf sails and wave sails. You can of course attach every sail to your board, but whether this is ideal? 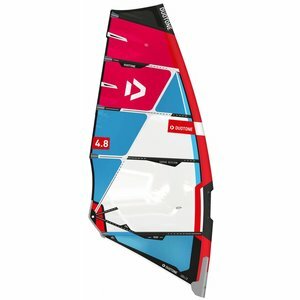 At Euro Funcenter we have the right sail for every surfer and that also for the sharpest deal! Sailing brands such as Neilpryde, Gaastra, Naish and North are always in stock with us, so immediately available. Do you want to buy a sail for windsurfing? Take a quick look at our wide range of windsurfing sails! There are various disciplines in windsurfing and everyone has his or her own preference. You can go for a sail to sail from point A to B, but perhaps you would prefer a forgiving sail to cruise smoothly. The speed devils therefore often take a sail with cambers because these camber sails have a more rounded profile and therefore plan faster and keep more pressure when the wind is slightly less. These sails, however, are a lot heavier to lift out of the water because there is a lot of water in the mast hull when the sail is in the water. Slowly, of course, this all goes out again, but starting water and going up is a bit more difficult. This makes it less suitable for beginners windsurfers. Sailing for the all-round freeriders often have no more cambers. This is because these kinds of sails are already quite busy and without cambers they are more agile, lighter and therefore more versatile. Freestyle and wave sails are often more solidly built to handle the craziest crashes, but also to stay as flat as possible. 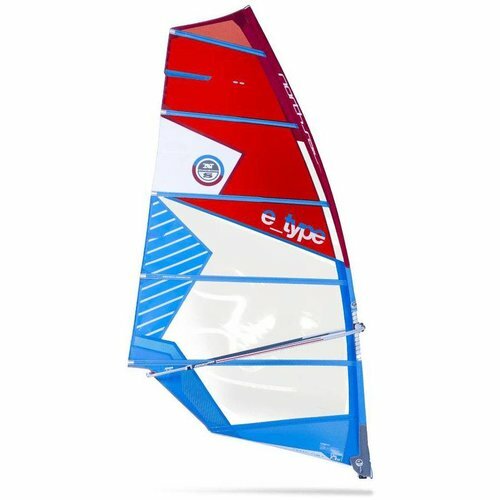 This makes them the most agile and you can easily ride golf or freestyle tricks without your sail too much pressure or too crap to the touch. Sailing for the novice windsurfer are often easy (er) to rigging and feel very manageable on the water. These sails are often not very fast, but give a lot of security and punish not extreme if you make a mistake once. These sails are also more solid in the bottom to prevent tearing in the monofilm as much as possible. If you fall over in your surf sail, you usually fall with your knees in the lower part of the surf sail. For more information about windsurfing sails go to Eurofuncenter.